From it’s inception in 2001, the Logjam has donated over $47,000 to worthy causes, such as Ride A Wave and Junior Guards, and as provided many scholarships to local high school surfer/scholars. Big Stick Surfing Association (BSSA) is especially proud to have helped these students with $24,750 and to have donated $10,500 to the Ride A Wave program. Through Ride A Wave many needy and disabled children have enjoyed a fun and empowering day at the beach. BSSA's local Junior Guards program has received $3,000 to provide scholarships for kids who could not otherwise afford to participate in this enrichment. 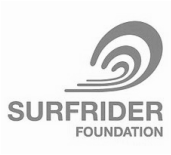 They have also proudly supported the Santa Cruz Surfrider Foundation and Surfer’s Environmental Alliance. Together these organizations have received $6,000 toward their mission of protecting the precious coastal environment. To preserve local surfing history, BSSA has donated $2,500 to the Santa Cruz Surfing Museum. Big Stick Surfing Association is proud to host the annual Logjam! on April 23th and 24th, 2016 with both days at Pleasure Point (East Cliff Dr and 32nd Ave, Santa Cruz, CA). The Logjam at Pleasure Point in Santa Cruz is all about vintage, pre-1970's longboards, weighing more than 20 pounds with no leashes allowed. This there will, again, be a vintage shortboard division with limited entries in one open division. All shortboards must be pre-thuster era with one or two fins and a max length of 8 feet. The contest is in the Pleasure Point area of Santa Cruz. It is at the intersection of 32nd Avenue and East Cliff Drive.